I absolutely love picking out and making gifts for people. I think it is so fun to find inspiration online, and try new things out. Some of my gifts are homemade, and some of them are lovingly picked out at a store or an online shop. I put in a lot of thought into each and every gift I give. Mother's Day is coming up, and every year I try to come up with something that will delight my Mom. I usually come up with some pretty good ideas, and here are some of them. Journal Jar and Journal: This is an idea that I have used once, and it is easy to make. All you need for this project is a journal, a mason jar, and paper. A journal jar can just be a simple, decorated mason jar with slips of folded paper that contain questions or writing prompts, usually of a variety of topics. They can be about childhood, beliefs, traditions, family, or whatever else you think would be interesting. I found this idea on the Organizedhome website. To see more information on this project, and print out the many journal prompts provided, click on the link to the right. If desired, you can write your own prompts. The point of this gift is for the recipient to gradually take out and write the answers or responses to the prompts onto the journal, and by the time the jar is empty, the journal should be pretty full of information about her life and her views. 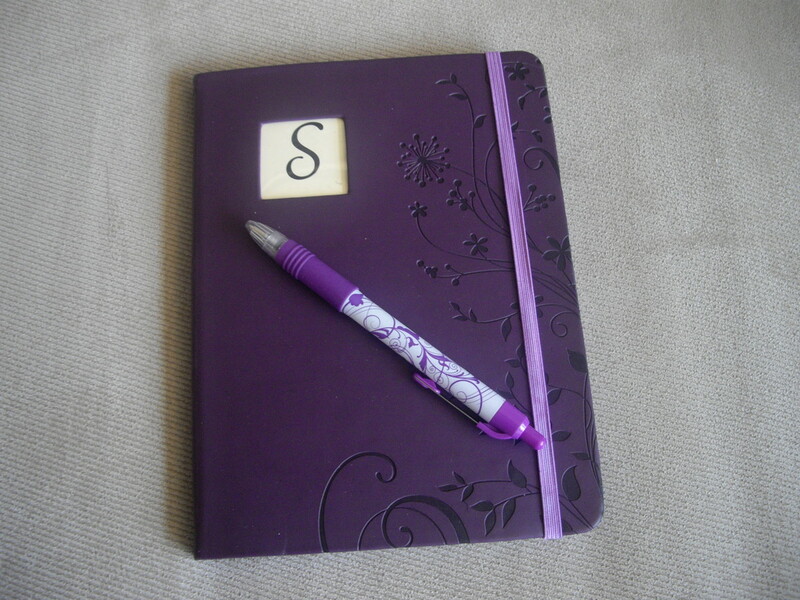 It is a great gift for someone who likes to write, or who is very reflective. When she is done, she can keep it for herself, or give it to a loved one who would value it. Recipes: My Mom loves to cook and bake. Over the years, I got some recipes from her, and copied some down from her old cookbooks. During one of those fierce storms in New England, her apartment was completely flooded, and she lost everything. One gift she found very meaningful was a recipe book, full of her old recipes, as well as a few new ones. I went through all of the recipes I had, browsed online, and typed up and printed out ones that I knew she would like. There are many ways to go with this idea. Pre-made Recipe Book that you write photos in. They come in many sizes, from ones that fit into your pocket, to binder size. Recipe Box, either with pretty recipe cards or index cards that you can jot recipes down in. You may decorate the index cards, or leave them plain. Recipe Scrapbook that you add recipes to. I bought one quite a while ago. It came with many decorative papers, and two different size recipe pages to write the recipes on, as well as decorative subject dividers, plastic protector sheets, and embellishments. In this case, you can either complete the scrapbook yourself, with recipes, photos, embellishments and captions, or you can give them what they need to craft it themselves (but maybe add a few of your own recipes, if desired, just to start the process). Recipe Binder that you put together yourself. All you need is a binder, a scrapbook, or a photo album, and paper to write or print out recipes on (either regular or decorative paper), and plastic page protector sheets. If desired, embellish. You can also add photos, like in a scrapbook. Digital Recipe File is something different that might be a good idea for a gift. Type up and/or get together recipe files you have that she would like, and compile them onto a disc or usb flash drive. She can upload or print out any that she desires. Household Binder/Notebook: This is another idea I got from Organizedhome.com, so feel free to check out the link to the right. To make it, buy a binder, dividers, protector sheets (if desired), and either print out some of the worksheets provided on the website, or type up your own. This binder can have as many categories and pages as desired for an organized household: emergency list, phone numbers, addresses and birthdays, planner pages, household lists, finances, projects, recipes and menus, fitness, family and school, vacations. The list goes on. It is great for keeping track of important information and events. I have one myself, and I also put one together for my mother last year. Bonus: The same website also has information and worksheets to print out for Christmas! I have enjoyed using my personalized Christmas Planner for the past two years, and it makes the holidays much more organized, and easier to enjoy. Scrapbook or Photo Album: These are usually very cherished gifts. Get together photos you already have, or go through your digital photos for ones you want to give to her, and have them printed to put in the scrapbook or album. Fill it, or leave space for her to add more later on. Photo albums can be straightforward, and scrapbooks are for those who want to be more creative with the decorative paper, embellishments and captions/journalling. Digital Photos: Get together all of the photos from your digital camera or computer that she would like. Save it on a disc or usb flash drive, and give it to her to do whatever she pleases with them. As a bonus, maybe include a gift card to a site or a store where she can get some of the photos printed out, or use it to buy a personalized gift with one or some of the photos. There are many fantastic things out there that can be personalized with photos. Gift Basket: I think gift baskets are a great way to group related gifts together in a presentable way. A few gift basket themes: Movie Night, Coffee or Tea Break, Spa Day, Gardening, Writer's Basket, Sports, Baking, Breakfast, Ice Cream Sundae Party, Fruit, Beach, Aromatherapy, Gourmet Food, Soup, Popcorn, Snack, Spicy Foods, Game Day, Book Basket, Relaxing Bath, or Candle. Greeting Card Organizer: For those who enjoy sending out greeting cards and keeping track of birthdays and other important dates, a greeting card organizer can be a pretty gift that will help them stay organized. Most of them have an envelope of folder to hold greeting cards for every month, and space to write down birthdays and other special dates. Coupon Book: Either print out a coupon book template, or create your own. See the Martha Stewart link below for details. I think it is a good idea to personalize the coupon book with interesting things you can do for her. Organize house and home with a simple household notebook: a planner for an organized home. Get organized, clean house and cut the clutter! Print a free Christmas planner with free printable calendars, Christmas checklists, holiday meal planners and Christmas gift lists. Make it an organized Christmas! Ever thought of making your own lavender hand cream? Chemical free, all natural hand cream recipe will give you a wonderful luxurious hand treat that leaves your hands soft, supple and moisturized. 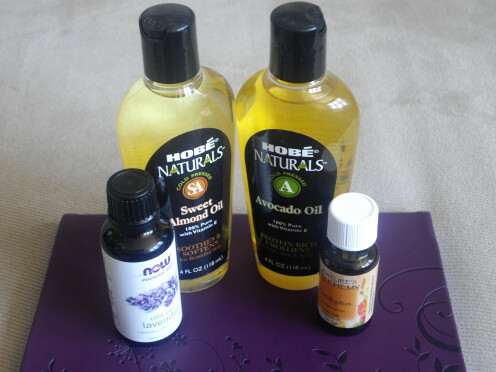 Making your own home spa treatments is so doable. Using many great ingredients commonly found in the kitchen or in the garden, here are a variety of my homemade spa treatments to treat yourself to. Make comfort packs! Flax seed’s concentration of grain oil means that the heat will last, providing soothing warmth for comfort. Freezing one means you can also use it for inflammation. Finding the perfect gift for a foodie can be agonizing. Learn what books, gadgets, and foods are sure to be a hit! Jewelry: it doesn't have to be extremely expensive. 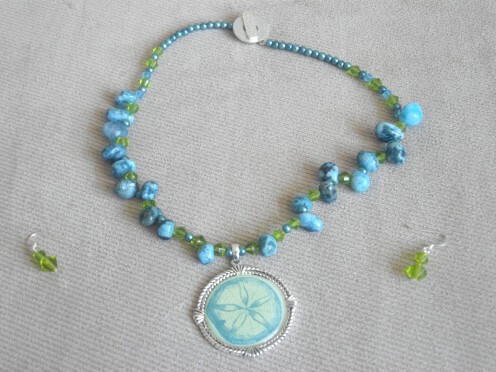 There are many places out there that sell handmade jewelry that is very pretty, often in a beautiful array of colors and styles. Check out Etsy.com. Watch: These are practical items that many woman enjoy, and they come in many colors, shapes and sizes. Get one she can enjoy every day, or on special occasions. Maybe get one that coordinates with some of her outfits, or provides a pop of color. Pretty shirt: If you have a good idea of what she likes, try buying a shirt that you think she would look good in. Or a t-shirt with a clever quote or picture. Make sure it is the right size, and be sure to have the option of returning it if necessary. Flip-Flops or Boots, depending on the season. Many woman enjoy shoes, and these are fun items to receive as gifts. Purse: If you know her style, this may be a great gift to buy her. I know many woman who really love purses (both myself and my mother included). It's nice to switch them up once in a while. I have different sizes and colors, so I can use whichever one fits what I need to bring, and the occasion. Makeup Bag: This is another thing I have a few of, and I use them for more than just makeup. They are great for keeping smaller items contained in a purse, for easy access. There are many colors and styles. Some include makeup or accessories (such as brushes), and some are sold by itself. As a bonus, maybe buy (or make) some makeup or pampering products for her. Hat: If she is into hats, get one she may like. There are many styles, for many purposes. Something pretty to wear, a cozy Winter hat during cold months. A baseball cap, or a hat to protect her face from the damaging rays of the sun while at the beach, gardening, or just out running errands. Gardening Tools or Gloves: At the time of writing this, it is Spring. This would make a great gift for a woman who is into gardening, or has expressed a desire to get into it. Maybe even buy supplies for gardening, seed starter kits, or pretty pots. Flowers: If she likes flowers and you know what kind she loves, it can be a meaningful gift. 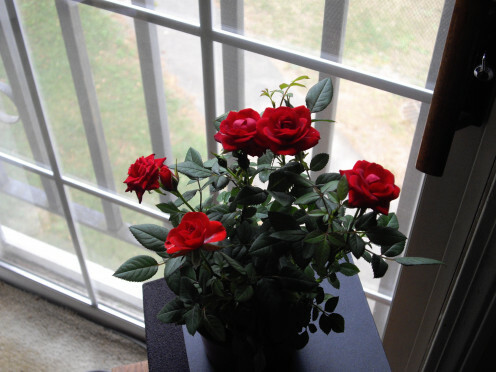 Maybe even buy a potted plant, since it lasts a lot longer than cut flowers. My boyfriend bought a small rose plant a couple of years ago, and it is thriving now! Every time I look at it, I think of him, and how sweet it was of him to buy it for me. Coffee, Tea, or Wine: If she has a particular favorite, it could be a very meaningful gift. Or if she likes to try new things, maybe buy a type that you think she would like (just don't buy it in bulk, just in case!). Chocolates or other candies: Even those who try to stay away from sweets may appreciate the rare treat. Make it something that you know she really likes, and it is likely her face will light up when you give it to her! Books: If she likes to read, a book can be a great gift! Keep in mind the type of book she likes, or the author. If you're not sure, a gift card combined with a pretty bookmarker may be a good idea. Bookmark your page and leave a trace. A do-it-yourself project. Chocolate makes a great gift. Personalizing a chocolate bar turns a great little gift into a greeting card that sends a sweet message. Learn the basics, then create your own personal designs. I printed out a card for her on the HP Create site, which is now part of the Snapfish site. They have a variety of cards that are free to print at home, and have space to add a photo or a typed message on. For best quality, print out on cardstock, or other thick paper. But even regular printer paper make pretty cards. I ordered a photo magnet from Shutterfly, another great photo gift site. If you register with them, and sign up for e-mails, they send offers for fantastic sales or even free items periodically. In this case, I got a free magnet, except for the shipping and handling. Last of all, I am calling her in the afternoon of Mother's Day. I already wished her a happy Mother's Day on Google Plus, but I think talking is an ideal way to communicate on a special day such as this. Learn how to make authentic English muffins with chewy texture and plenty of nooks & crannies. The secret is in the method! Also included: a recipe for English muffin sandwiches and homemade blueberry English muffins, Wolferman's style. We make printing at home fun with free printables! Learn how to print your photos at home. Absolutely, thanks! I have no objection whatsoever, and appreciate it. I am adding your link to mine right now. I agree, articles like these are great for coming up with other great ideas for gifts and designs. I love looking around for inspiration. Thanks for taking the time to check out my hub and comment, and have a wonderful day! Not only could these make very nice gifts, they are springboards for coming up with new designs and other gifts. Linking your ideas to my chocolate wrapper hub if you have no objection--thanks! Thanks, I'm glad you like my ideas! This was a fun one to write, because I am always looking for creative gifts. I'm glad that you have many beautiful women in your life, and that this could be of use to you. I had to bookmark this one. I have so many beautiful women in my life and this will come in very handy. Great ideas! I'm glad you like my ideas. I think it's good to think of thoughtful gifts that the recipient would like. I'm always looking for new ideas. Photo albums are great! I don't know any woman that wouldn't appreciate a well put together album. Thanks for the compliment. I'm glad you enjoyed it. Just catching up on a few, and this one looked quite interesting. :) So many great ideas here kathryn, and I know that all of the special women in a man's life should be treated as such, every single day of their lives, but as an extra bonus, I thought that the photo album you proposed, was a good idea.Particularly, cleaning up those dog-eared, and black and white snaps,(or even sepia, if one has great-grand parents), reprinting, and presenting in a neat, and imaginative chronological display, representing the main themed experiences in their life so far. Thank you for a well-thought out, and as usual, a well structured article, that made for an engaging read.Something for everyone here. Joy, you're welcome. Thank you for taking the time to read and comment, and have a nice day! Peg, I love the idea of the recipe books, as well. My mother appreciated it a lot, since she didn't have all of her recipes memorized. There's something familiar and cozy about having them around. It's unsettling to lose your home, but to lose everything unfamiliar, as well, must be awful. 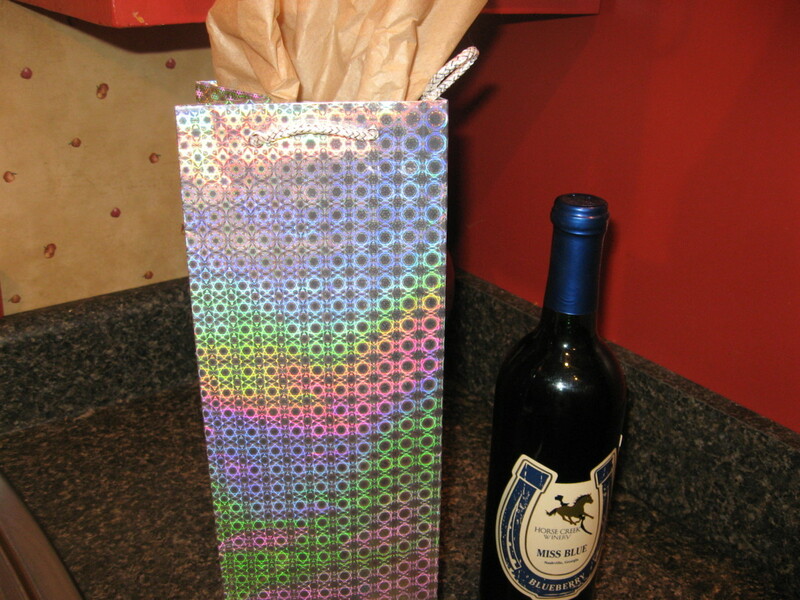 When that happened, I tried to ease her mind as much as I could with some of these thoughtful gifts. The personalized t-shirt sounds like a very thoughtful gift. That is so sweet. I bought a personalized mouse pad for my mother once when I was younger, with the photo of a cat she had adored and lost (it disappeared, and we figured someone must have taken him in. He was a gorgeous cat)... Oh, I can only imagine how touched you must have felt to receive a gift like that. Pets are so dear. Thanks for reading and commenting, and for the votes. I hope you had a fantastic weekend! You've shared some fantastic gift ideas here and the next time I'm faced with a difficult decision of what to buy someone, I'll sure be putting some of these to use. The sweetest one was the recipe idea of recreating some of your Mom's tried and tested ones and I'm sure she loved it after losing her own in a difficult situation. One of my all time favorite gifts to receive was a personalized t-shirt that had a picture of my precious Buckwheat (flat-coated retriever) who had passed away. It brought me to tears when I got it and I've been wearing that one for many years. Great hub here. Up up and up. Colin, I like giving my mother gifts on Mother's Day, but I also like to give her things and tell her I love her on non-holidays, too. I agree that every holiday has becoming really commercialized. It has been cloudy here all day, and very windy. I think it is going to be like that all weekend. Your supper sounds delicious. The red wine sounds great. I haven't had wine in a couple of months. For supper I just heated up ready made mini pizzas, and made bean and cheese tortilla wraps. We had a tossed salad on the side, and beer. A quick and basic meal. I was a little lazy this evening. Thanks for stopping by for a chat. Big American hugs back to you and your kitties :) Have a fantastic weekend. Well my Kathyrn of Kool I think everyday should be labeled as Mother's Day or Valentine's day - when I had a mum or a girlfriend I didn't need an excuse to tell them that I loved them or to do something thoughtful or nice for them but yes as we both know 'commerce' makes the world go around and you have certainly come up with many fine suggestions here. I would love to see you write for a marketing magazine or a cooking magazine because you would be awesome. Suzette, thanks for the compliment! I'm so glad you like my ideas, and the presentation. I had fun with this hub. It sounds like fun to discuss ideas with your niece and nephews! That makes for great conversations, I'd imagine. I love most Mason Jar gifts. I think they are so cool! Have a great weekend, and thank you so much for reading and commenting. Kathryn: what a wonderful hub jammed packed full of wonderful gift ideas. I am bookmarking this hub for future reference. You have thought of everything! This should be a HOTD. This is so well presented. I made a 'treasure chest of ideas.' Sometimes when I have my niece and nephews over for dinner we sit around the table and pull an idea out and have great discussions over them. I also love the ideas of the Mason jars and I love those jars! Thank you for sharing all these great ideas. Well done and well written! I saw that someone had purchased the rings from Amazon. I'm so glad you and your mother are enjoying the recipe and that you have been able to enjoy the sandwich variation, too. Homemade is always so much better than commercial quality baked goods! Thank you for all your support. I really appreciate it. Vespawoolf, thanks! I'm glad you like my ideas. I have used many of them for my mother, including a couple of the recipe ones. I tried your English muffin recipe for the second time, this time with the muffin rings (I bought the two sets from your site, by the way), and they were so delicious! I just made a homemade egg and cheese sandwich with my last one, and ate it for breakfast this morning. It is better than any McDonald's McMuffin, for sure! Thank you for keeping my hub in mind for gift ideas. That is such a good compliment! You're welcome, and have a fantastic night (or whatever it is in your part of the world). It is past 8 pm here in Boston. What beautiful gift ideas! I especially like the recipe books and food ideas. Thanks for linking to my English muffin hub! I'll do the same. : ) I've marked this for future reference...I'm always on the look out for gift ideas for my family and friends. Thank you for another well-written, useful Hub. Brett, thanks, I tried to include many gifts that were not too common. I like giving unique presents. Thanks so much for reading, commenting, and all of the votes and shares! I appreciate it. DDE, thank you so much! You are sweet for reading so many of my hubs. I will be checking more of yours out, too, since so many seem interesting as well! I hope you have a great day, too! Nate, I'm glad you like my ideas. I'm sure some of them would be great for your mother. It's very good to exercise the mind as we get older. I hope you mother is doing well. It must be a lot of work to care for her, but it is great of you to care about her enough to do it. You're welcome, and thank you for taking the time to read and comment. Have a fantastic day! These are really great ideas. I am taking care of my aging mother and her mind doesn't work as well as it used to, and these gifts she would appreciate and I think it would help her mind as well. Thanks much. Kathryn Stratford I find your work so creative and such unique ideas well done on your great achievement so far look forward to reading more of your hubs, have a lovely day. This is a very useful hub. I like that most of the ideas are not your 'standard routine gifts'. Thanks, DDE! I'm glad you like my ideas. It was fun to write this hub. You sure are making your rounds on my site today! Thanks, I'm glad you have found some of my articles interesting. Mary, thank you! I almost made this into a Mother's Day one, but decided to keep it open for any time of the year. I know I'm searching online for ideas quite often, and I'm sure many other people are, too! I always like to include a mix of common and not as common items. Some people just want quick and simple ideas, and some want to try something unique out, so hopefully I appealed to the different crowds here. I love adding links! Technically it takes people away from my page, but I think they would be on here long enough to glean useful information, and my desire is to be useful to others, not just to get people to stay on my page for a long time. Cyndi, thanks, I appreciate the compliments. It seems to be a success, since I have a decent amount of views from the past 8 days. It was a fun hub to put together, although a lot of work. But I think it is a topic that can be useful any time of the year! You're welcome, Cyndi. You rock, too, and I'm so glad I have discovered your blog. I'm going to try to keep up with your inspiring pieces. I am so glad you're on Google Plus, because I see all of your new posts, and that makes me happy. My e-mail feed has so much information in it that it's hard to wade through it every day, but Google Plus is not as bad. 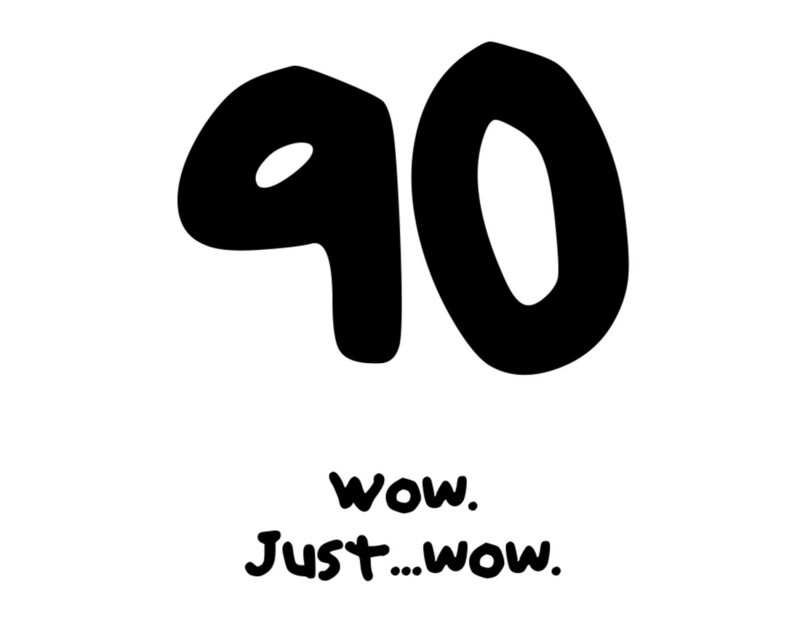 Thanks for reading and commenting, and for sharing it :) Have a fantastic Monday! If ever there was an Evergreen hub, this is it Kathryn! Not just good for Mother's Day but any and every holiday a woman ever gets a gift for. You've really surpassed with this hub. Some things we've all heard of and many we have not. I like the way you've included links and more information about the gifts. This is really an impressive and helpful hub. Deborah, thanks, I'm so glad you love my hub! It was fun to put together, and I had more ideas than I could even fit in here. Gift baskets are great! And books barely ever fail. I remember I used to get a gift card to a bookstore every Christmas from my Uncle Tom, and it was so great to pick out whatever book I wanted! And my mother always used to give me some of her books, which were usually pretty fun reads. Thanks, and I hope you have a happy Mother's Day, too! I'm going to call my mother when she gets home from my Grandma's. I wasn't able to make it over there myself, but I sent her a package a few days ago (which she enjoys). It'll be nice t talk to her. Which reminds me, now that she has received her gift, I want to edit this hub and put in what I gave her as an idea! Indian Chef, thank you for taking the time to read and comment on my article. I'm glad you will keep my ideas in mind when you have a woman in your life. Thanks for the vote up and share. Have a spectacular weekend! Kathryn, very new kind of Ideas. I do not have any woman in my life right now but if and when I would have one, I would definitely keep your ideas in mind. Voting up and sharing here. You're welcome, Iguidenetwork, I'm glad you like my ideas. I know what it's like to have trouble with gift ideas for a special someone. I used to always have a hard time with buying gifts for men! Pretty soon I will be finishing a hub on gift ideas for men, but it will be much different than this! Maybe when the time comes you could give me input (since I am not a man)! Most woman would be delighted to receive a handmade gift from their loved one! Thank you for taking the time to read and comment, and have a fantastic day! Sheri, thanks, I'm so glad you like it! I had fun putting this together! I hope you're having a great day! 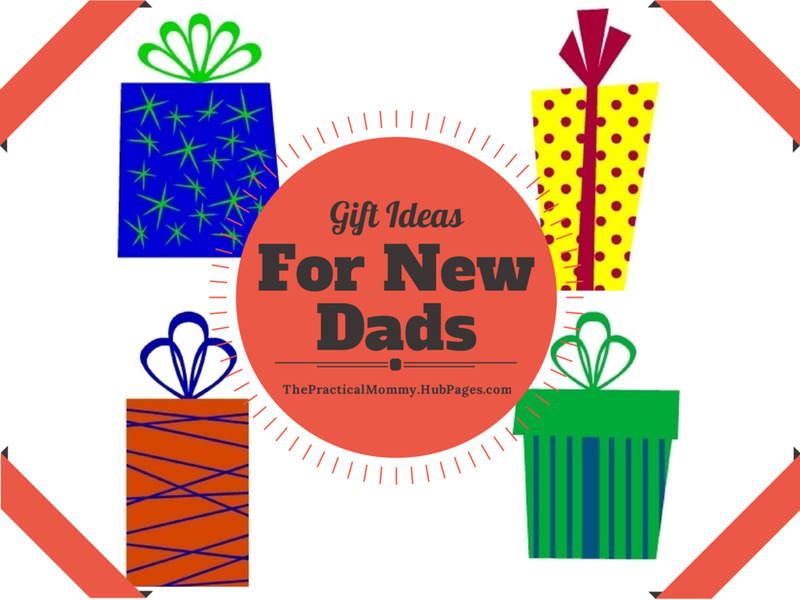 What lovely thoughtful gift ideas! Great hub and I think this is pintrest worthy. Janet, you're welcome, and thank you for reading and commenting! Once I got started writing, it was so easy to write down my ideas. I did most of the brainstorming for ideas while on the subway to work and back, so at least I'm able to make the trip productive! This is a very interesting and comprehensive collection of gift ideas. Everyone will find something suitable. Thank you for sharing this. I love it. Thanks, Rajan, I tried to put together an article with unique ideas. It's nice to come across different gift possibilities, and I hope many people get inspired by this. Thanks for reading and commenting, and have a great week! Careermommy, thanks, I'm glad you like my ideas. I agree, gift baskets are a great thing to put together. I almost listed what I have for my mother for Mother's Day, but since she reads my articles, I decided it wouldn't be a good idea. I want her to be surprised! Thanks for reading and commenting, and have a fabulous night! A fine list of awesome ideas here, Kathryn. Really unique. These are great ideas Kathryn. I love giving creative gifts to my loved ones. Gift baskets are the best. These ideas are just in time for mother's day. Joe, I'm so glad you like my ideas! You're welcome, and thanks for taking the time to read and commenting. Also, thanks for bringing up my lack of signature photo and link. I remembered it briefly after I published it, and then I forgot. Since you reminded me, I put them up real quick. Rose, thanks, I'm glad you think so! I had more ideas, but I decided it's best not to make it too long and drawn out. I hope you don't mind that I put up a link to your Etsy site. Your jewelry is so pretty (I plan on buying some myself in the next few weeks), and I think others would enjoy checking it out. Thanks for reading and commenting, and have a great day! I am gift picking-handicapped, especially when they're for the special women in my life, so this Hub is an excellent reference. Thanks for sharing, Kathryn. I missed your signature photo and link at the end, though! : ) Aloha, my friend! I was not expecting to find so many ideas in this article! Great round up of suggestions. There is something here for everyone. Kashmir, thank you for reading and commenting. I appreciate your input! This was a fun article to write. Have a wonderful week! I hope you're enjoying the weather. Very interesting ideas and suggestions within this well written hub ! Suzie, you're welcome, and thank you! I adore your hubs, and want to share them with others. 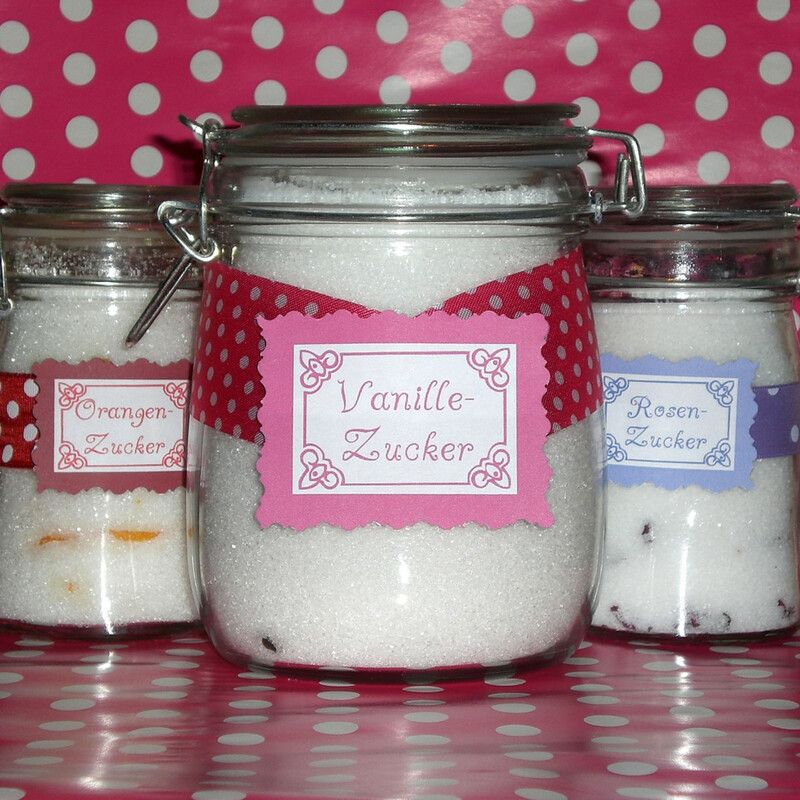 Your spa items would make unique and special gifts for any woman, and I hope others read your articles and discover how easy it is to make some of them! I got excited every time I discovered another link to add to this. For example, I had already written the part about giving a pretty bookmark to a book lover when I saw Agapsikap's hub on how to make a personalized bookmark, and it was so pretty that I asked her if she would mind if I linked it to my article. She was happy to let me, and it makes such a great addition to this article! The Mason Jar hubs are also perfect for this, too. When I am looking for a creative gift, those types of gifts always catch my eye. I spent quite a while on this hub, but it was so much fun! I'm so glad I got it done over the weekend. Now I can go to work knowing that I have another article under my belt. Although another one is percolating in my head! I have so many ideas, and it is such a blast (most of the time) to construct them. Thank you so much for reading and commenting, and I am delighted that you enjoy it. Have a spectacular week! MJ, you made me laugh. And laugh again. I will have to edit the "bumper magnet", since it is not obvious what it is. It's like a "bumper sticker" for a car's bumper, except it's a magnet. I love sharing fellow hubber's links! There are so many great ones out there, and I want anyone who is looking for gifts for a woman to see some of the fantastic ideas that are on other pages. I could just stay on HubPages and get all of the inspiration I need for creating or buying gifts! Oh, no!!! I can't believe I forgot the champagne gold Jaguar! What woman would not want one, and what man would not graciously buy one for their mother, girlfriend, friend, or wife? Silly me! Hahaha. Thank you so much for reading, for your great compliments and input, and for giving me a couple of laughs first thing in the morning. Have a spectacular week! Vacation Trip, I have made Recipe books a few times, for myself and my Mom, and it's great! It's such a creative gift, and there's something nice about having recipes organized in one place. I love cooking, too. I still have my recipe scrapbook, and sometime I plan on actually putting it together. I was organized a few years ago, but my recipe collection has expanded significantly since then! Thank you so much for reading, and for your kind comments. Have a beautiful Monday! Agapsikap, I'm so glad that you like my article! Thank you for all of the compliments. 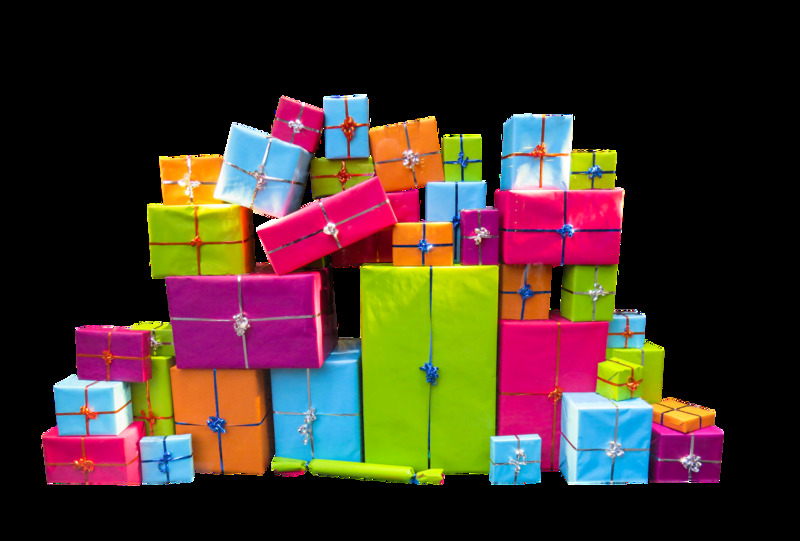 The websites I have put on here are some of my favorite ones relating to gifts! I hope many people enjoy them. It really is a good bookmark choice :) I am going to make one of your bookmarks for my Mom's birthday this Summer. She loves to read, and she would love a pretty one made just for her (I'm crossing my fingers that she doesn't read the comments when she checks my article out, lol). Thanks for the votes and shares, and for taking the time to read and comment on this. Have a fabulous Monday! My Cookbook, thank you for reading, and for providing input. I'm glad you find it useful, and that you like my tips. Have a happy Monday! Vicki, I would have actually expanded the homemade gift section, but my hub was already getting long. I have enough ideas of items related to cooking and baking that I could make an entire hub on it (and I'm sure sometime I will)! I love cooking, too. Thank you so much, I'm happy that you liked it. I appreciate the votes and pins! Have a spectacular Monday! Travmaj, thank you for reading and commenting. I'm so glad you like my selection of ideas, and I hope you have enjoyed browsing. Bill, thank you for checking this out before you left HP last night. That's sweet of you. I'm glad that there are things here that you haven't seen. I have read so many wonderful hubs on similar topics that I wasn't sure if I could compare to them at all. But once I started this, it was very easy to fill up with my gift ideas. As far as the mason jar one, it's one of my favorites, and since I have seen so many hubs using the ideas, I decided it would be a great thing to add to my hub. These types of gifts are so simple, pretty and useful. Thanks again, my Olympian friend, and I hope you had an enjoyable weekend. Have a fantastic week! Wow, thanks so much for linking my hubs, what a lovely surprise as I opened my laptop to check in with my first coffee! A great hub jam packed with so many fabulous ideas. You have worked so hard putting this together, great job! Love so many of your ideas and you have linked to some of my favorite hubbers work too! Well done and many thanks again, it is so good of you to link to some of my homemade skin care. Voted up, useful, interesting, awesome, shared and pinned! WOW, never mind the boat, you pushed the whole fleet out with this one. Fabulous work on this hub and great example of sharing the love with links to other great hubber's work. One question: What is a bumper magnet? I have heard of a fridge magnet. A Jaguar 4.0 liter XK8 in champagne gold. Just my thought. Thanks Kathryn for sharing these great ideas, i love the idea of gifting recipe book as I love cooking. I am sure all girls will love your ideas. Voted up and useful. Kathryn, I must say, Ideas are gorgeous. Its definitely awesome and very useful. The lay-out is quite impressive. I'll be reading it again to visit all the sites. What a very nice bookmark choice you've got there, huh! lol. Thanks. Voted up .. sharing .. and pinning! This is really great. I love the tips you have provided. Great hub, really a good read and it is useful. Wow, you have so many suggestions on here. Incredible! I love the recipe ideas, since I love to cook. Photo albums and scrapbooks are also great. Heck--they are all great! Pinning! Many votes! There are actually suggestions in this that I have never seen before. Love the mason jar idea, Kathryn. Well done my friend.